Dr Thalia Anthony's expertise is in the areas of criminal law and procedure and Indigenous people and the law, with a particular specialisation in Indigenous criminalisation and Indigenous community justice mechanisms. Her research is grounded in legal history and understandings of the colonial legacy in legal institutions. She has developed new approaches to researching and understanding the role of the criminal law in governing Indigenous communities and how the state regulates Indigenous-based justice strategies. Her research is informed by fieldwork in Indigenous communities and partnerships with Indigenous legal organisations in Australia and overseas. Dr Anthony’s research informs her teaching in terms of advancing strategies for Indigenous cultural competencies in Law curricular, which had its genesis in 2008 when she organised an Australian and New Zealand conference on this theme. Her research has had an impact on policy development and public debates in relation to remedies for wrongs inflicted on Indigenous peoples. Her work has been referred to in Senate committee reports, parliamentary debates, policy announcements and law reform committee reports. Dr Anthony has also provided research for High Court cases, written submissions for United Nations committees, prepared and reviewed research briefs for the Attorney-Generals’ Indigenous Justice Clearinghouse, conducted research for the Royal Commission into Institutional Responses to Child Sexual Abuse and appeared before several parliamentary inquiries on Indigenous redress schemes. Dr Anthony’s scholarship is published in a number of books, including her influential monograph, Indigenous People, Crime and Punishment (Routledge 2013) and a forthcoming book with Professor Harry Blagg, Decolonising Criminology (Palgrave 2016). 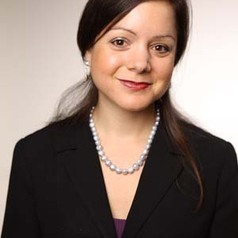 She has strong connections with justice and advocacy groups, including UTS’ Jumbunna and Aboriginal legal services, and regularly provides expert opinion in the media and public debates.